Skan has over forty consoles in stock from many leading manufacturers including Midas (analogue & digital), DiGiCo, Yamaha, Avid & Soundcraft. We also have several ProTools and other multi-track systems with connectivity for record and playback through any of our consoles. Skan has a proven track record of live recording with thousands of hours of seamless recording with several sessions having been used for commercial releases. 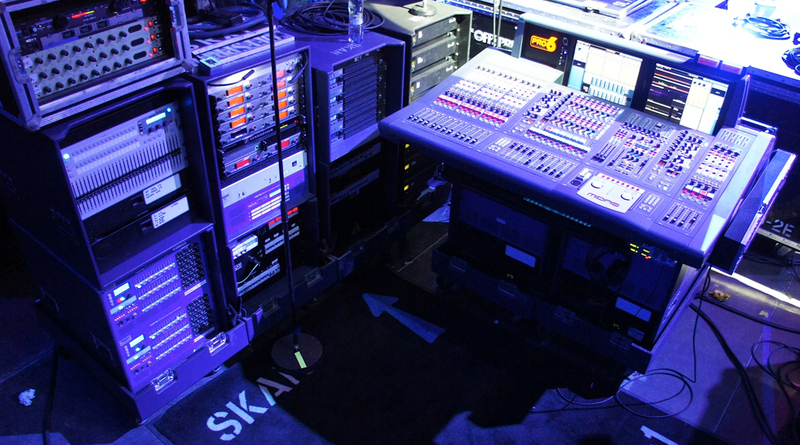 Skan is also a large stockist of RF equipment with close to one hundred radio mic systems and two hundred in-ear-monitor systems. We have the expertise to make these systems work with experience of coordinating large RF requirements around the world. Despite the prevalence of digital consoles, Skan has retained a substantial inventory of outboard processing encompassing all the old favourites through to some more esoteric and unusual dynamics and effects. With over six hundred d&b speaker boxes and over three-hundred d&b amplifiers, Skan is able to undertake audio work of any size from stock. The key products for touring work are the J and V series. Both J and V have 80-degree and 120-degree boxes to suit the horizontal profile of the audience. With the J-series d&b have designed a box which can be used from clubs to stadiums – there is no other speaker product which offers this range of application. Skan also stocks substantial quantities of V-SUB, J-SUB and J-INFRA all of which can be deployed into cardioid arrays. In addition, Skan stocks over one hundred M2 and M4 wedges. All d&b speaker products can be powered from the same amplifier giving Skan another advantage of flexibility. 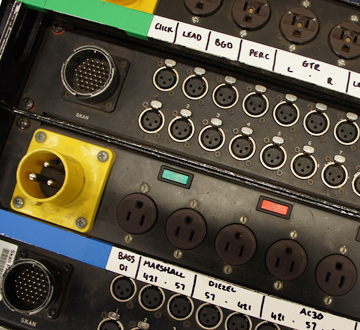 Amps can be packaged in any combination to suit the job, with standard racks in threes, fours, sixes and carts to contain up to forty.